Dongguan Hengyao Ultrasonic Equipment Co., Ltd.
Changshu Qirong Nonwoven Machinery Co., Ltd.
Pujiang HG Nonwoven Machinery Co., Ltd.
- We insist on"High Quality;Good Service" so We are High&Good; Trade Shows We have installed many production lines for our clients in different countries,we will try our best to supply good production lines for more clients. HG-3200SMS in China: HG-3200S in China: HG-1600S in Morocco: HG-3200SS in Russia: HG-1600S in Indonesia: HG-1600S in Bangladesh: Finished Products PP spunbond fabric are widely use in: - Packaging products such as Shopping bag,Rice bag. - Nonwoven medical products such as Surgeon mask,Disposable garments,Surgical drapes,Shoes cover - Nonwoven hygiene products such as Baby diapers,Female hygiene,Baby care, cosmetics. Is a professional manufacturer of PP spun bonded non-woven fabric production lines,PET needle punching production lines. We provide professional intergrates project design, processing, installation and operation training of PP nonwoven fabric production lines. Tell me what kind of fabric that you want the machine, how much you want to produce and factory size etc. HYGIENE - Baby and adult diapers, Female hygiene, etc. MEDICAL - Surgeon's masks, Disposable garments, etc. FURNITURE - Beds Cover, Seatings Cover, etc. New PP Nonwoven Fabric Making Machine 1. General Introduction of Nonwoven Fabric Machine. 3. Production Line Working Process of Nonwoven Fabric Machine . And, we also made 4.0m SS PP Spunbond Production Line ( Nonwoven Fabric Machine ) and sold it to Korea. If container is too tigher,we will use pe film for packing or pack it according to customers special request. 2)felt production cotton fabric production line. 10)coir mattress We are looking for agent all over the world ,pls. Zhejiang Shen VII Imp. & Exp. Co., Ltd.
Changzhou Huijian Machinery Co., Ltd.
YAOAN S SS PP spunbond nonwoven fabric making machine can suitable for customer to make good quality fabric. Machine operation: 1)The whole nonwoven machine is well structured and easy to operate. 4)The whole nonwoven machine is controlled by PLC and operated with touch-screen. 1.Machine Inspection We warmly welcome the customer to come our factory to inspect the production line before delivery . The machines only be delivered when the you accept the quality of the machines and the product. The seller will explain, operate and analyse in theory on the spot until the customer can operate the equipment himself. , the structure is same as Muller's, over 95% of spare parts can interchange with Muller. Besides, we installed the inverter system, can control the speed easily stop the machine immediately, also protect the yarn. We also upgrade the structure of machine, in order to improve the speed, to compare with other brand, the output is 15% higher than others. Changzhou Gaobo Machinery Technology Co., Ltd.
- We insist on"High Quality;Good Service" so We are High&Good; Trade Shows We have installed many production lines for our clients in different countries,we will try our best to supply good production lines for more clients. HG-3200SMS in China: HG-3200S in China: HG-1600S in Morocco: HG-3200SS in Russia: Finished Products PP spunbond fabric are widely use in: - Packaging products such as Shopping bag,Rice bag. - Nonwoven medical products such as Surgeon mask,Disposable garments,Surgical drapes,Shoes cover - Nonwoven hygiene products such as Baby diapers,Female hygiene,Baby care, cosmetics. 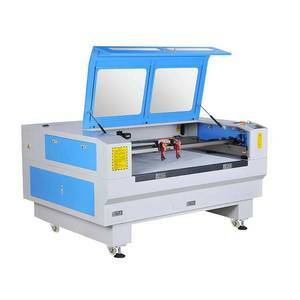 This machine is lower failure rate and easy to operation. This machine can count production quantity automatically. 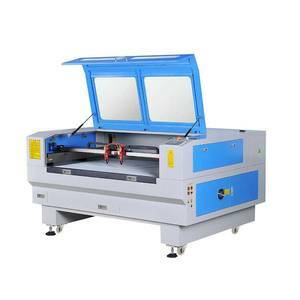 This machine make the 1 mask blank machine and 2 ear loop welding machine work together. 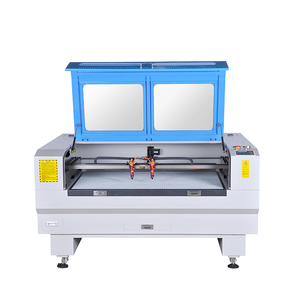 Alibaba.com offers 674,631 fabric machine products. About 27% of these are other packaging machines, 10% are digital printers, and 3% are cloth cutting machines. A wide variety of fabric machine options are available to you, such as free samples, paid samples. There are 672,849 fabric machine suppliers, mainly located in Asia. The top supplying countries are China (Mainland), Pakistan, and India, which supply 98%, 1%, and 1% of fabric machine respectively. Fabric machine products are most popular in Domestic Market, North America, and Southeast Asia. You can ensure product safety by selecting from certified suppliers, including 139,242 with ISO9001, 133,270 with Other, and 16,685 with ISO14001 certification.